All precautions are taken by completing a full assessment on the roof prior to commencing with repair to insure a safe working environment and to prevent further damage to supporting structure by adding additional weight of the repair team. Roof covering can be damaged by apparent impacts like hail storms, walking on roof and other elements. However roof covering and tile cracking are also caused by movement of roof structure or trusses. Having the Buildup experts have a look at it will prevent further damage. Build up Roof Repair and Paint will also provide preventive maintenance suggestions and methods for clients benefit. Metal: IBR, Corrugated, Chromadek, Harvey and other post formed metal panels roofs. 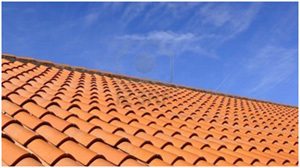 Long standing relations with supplier and roof tile manufactures allows for broken tiles and roofing material to be replaced with matching products. Don’t delay, have that leak repaired today!